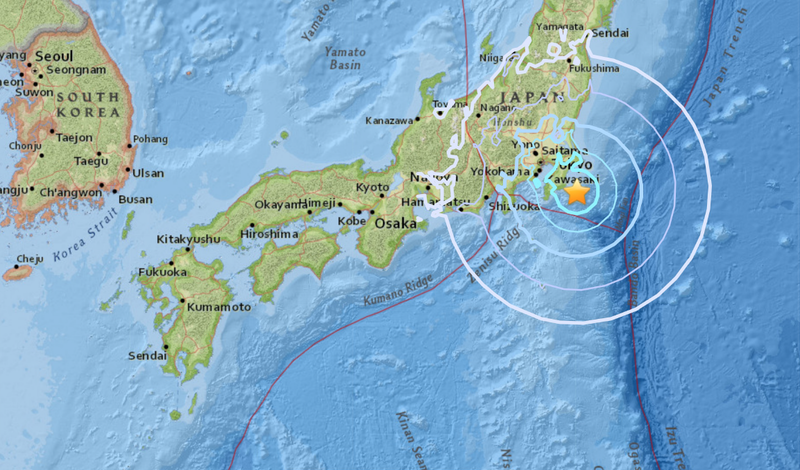 Sciency Thoughts: Magnitude 6.0 Earthquake rattles Tokyo. 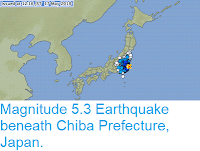 The Japan Meteorological Agency recorded a Magnitude 6.0 Earthquake at a depth of about 50 km, roughly 30 km off the southeast coast of the Chiba Peninsula on Honshū Island, slightly after 8.20 pm Japan Standard Time (slightly after 11.20 am GMT) on Saturday 7 July 2018. 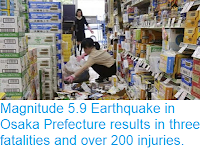 There are no reports of any damage or injuries associated with this event, but it was felt across much of central Honshū, quite strongly in the Tokyo region. 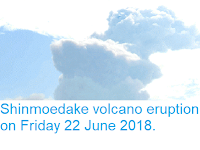 The approximate location of the 7 July 2018 Chiba Earthquake. USGS. 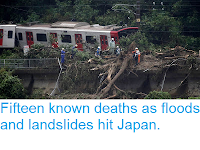 Japan has a complex tectonic situation, with parts of the country on four different tectonic plates. 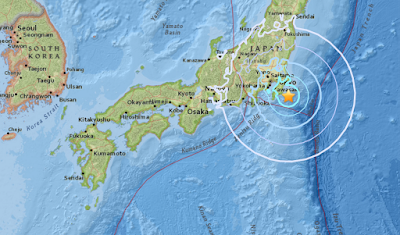 Eastern Honshū area lies on the boundary between the Pacific, Eurasian and Philippine Plates, where the Pacific Plate is passing beneath the Eurasian and Philippine Plates as it is subducted into the Earth. 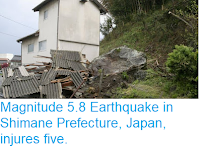 This is not a smooth process; the rocks of the two plates constantly stick together, only to break apart again as the pressure builds up, causing Earthquakes in the process. 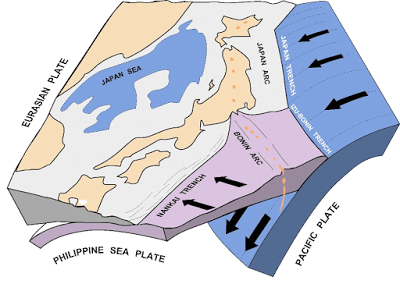 The movement of the Pacific and Philippine Plates beneath eastern Honshū. Laurent Jolivet/Institut des Sciences de la Terre d'Orléans/Sciences de la Terre et de l'Environnement.